Squirrels are a common sight throughout the Dallas area and are most commonly seen scurrying around parks and climbing trees. Most people think of them as being furry and innocuous, but they have no place in or around your home. Due to their small size, squirrels can easily enter a home through even the smallest gap in the roof or crack in the wall. 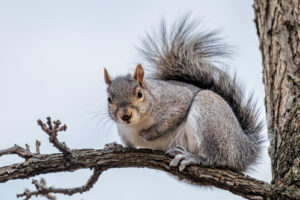 This often proves to be problematic, as squirrels can wreak havoc on the inside of your home, and pose a serious health risk to you and your loved ones. If you’ve noticed the scampering of squirrels anywhere in your home, don’t wait to take action. Instead of attempting to remove them on your own which is often ineffective and can lead to injury, let the experts at Critter Control® of Dallas help. With a wealth of experience in squirrel removal, you can rest assured knowing the job will be done right the first time. For any questions or to schedule a home consultation, call us today at 817-222-1101.